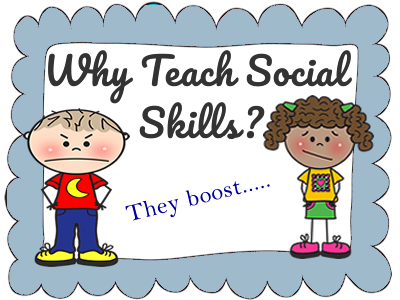 Social Skills and Social Emotional Teaching are a large part of what teachers do on a daily basis. Why is it, we take it for granted that all children know how to use appropriate social skills? The truth of the matter is that many of them need to be taught how to use appropriate social skills. Even more so with the prevalence of students with Asperger's on the increase. Social skills refers to the ability to act and behave appropriately in a variety of social situations. It also means, reading and interpreting body language and facial expressions. 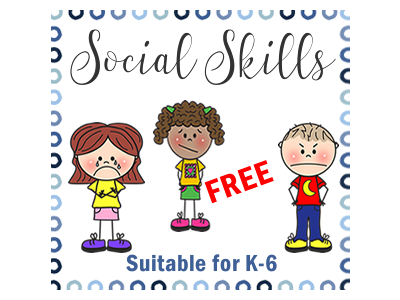 This week, I added a new category in worksheets, devoted to teaching social skills. It's just a start and I expect to add many, many more yet. One of my favorite activities to do is to have the students role play with a group of students to show how to behave in social situations that present some difficulty. Social emotional learning has always been a part of classroom teaching but there has never been such a need as there is now. Children are coming from broken homes, parents are often working more than one job and the first thing to go is social skills.